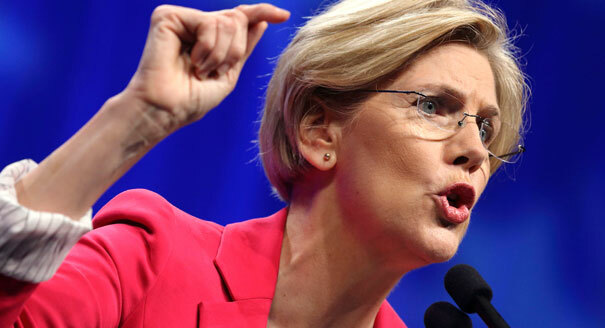 Let’s ignore the fact that Warren’s anti-corporate bona fides are nothing but an act. Let’s talk about what to do with banks that try to subvert the political process like this. Many people will call for campaign finance restrictions to address such concerns. I might be able to get behind such actions, if they would actually work. The reality is that organizations the size of these banks are always going to be able to find ways around any such restrictions. They have done so countless times, and will always do so in the future. The way to limit the ability of banks to influence politics is to take the money and power out of politics. If politicians can’t dole out billions of dollars in favors, the banks won’t have any reason to corrupt the system. And, for the record, I’m all for breaking up the banks. I just think it should be done by the market, which was all ready to knock down these big boys quite a bit. Instead, our “leaders” in Washington decided they were too big to fail, and decided to make them even bigger.